There are seven people you dare not criticise in Nigeria, no matter what they do. Before you can attempt to criticise any of them, you have to be ready for the backlash. Any person who criticises any of these seven men in Nigeria is attacked with vehemence by their supporters. Anybody who says anything uncomplimentary about any of these seven figures does so at his peril. So, who are they and why is it suicidal to criticise them? 1.) Number one is Sir Ahmadu Bello. He is known more with his iconic title: The Sardauna of Sokoto. 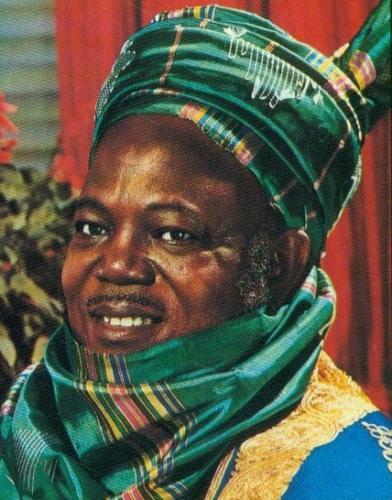 He was the Premier of Northern Nigeria until 1966 when he was killed in a military coup. He is the undisputed father of Northern Nigeria. He took all issues concerning Northern Nigeria seriously and ensured that the North got the best deal right from the colonial era until his death. Any criticism of him or any of his policies is viewed by the North as an attack on the whole North. Even If you show a Youtube video of him making an unsavory comment about other parts of Nigeria, you are viewed as an enemy of the North and attacked vociferously. The Sardauna cannot do any wrong and should never be criticized. Even jesus in him time was critise how much more the one u mention,buhari should not be included in that list. Haba this list is not correct, leave the dead and talk about the living, what about Pst David Ibiyeomie of Salvation ministries in Port Harcourt. I wish president Buhari have handle our country in a long time ago. Our country would have better than the present. I wish you long life sir so that you can do your best.